We loaded up the ole REEB’s and headed out to Idaho to ride the Idaho Hot-springs Mountain Bike Route. 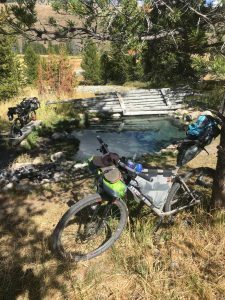 The full pull is about 520 miles and takes about 10 days to complete if you are not racing and hoping to enjoy some of the nearly 50 hot-springs along the way. Not having that much time to take off I opted for the ~300 mile version. Still, iIts hard work covering the miles when there is a beautiful road/trail side spring every couple hours. Somehow we managed to get it all in. 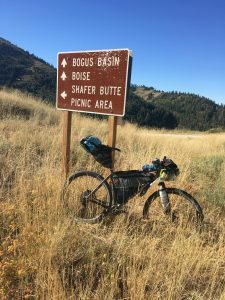 The route is accessible right out of Boise via the “Boise Spur” which is part bike path out of town and park gravel roads that wind around the Lucky Peak and Arrowrock Reservoirs. The route traverses steadily uphill (sometimes felt like it was uphill the whole way!) along the beautiful Boise River dotted with hot-springs along her bank. We managed a beer and soak at least a couple times a day. 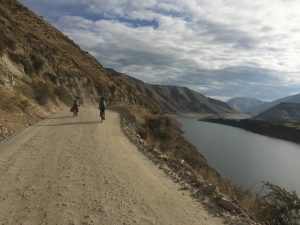 Although mainly gravel roads with the exception of some ATV trails and a short piece of mandatory single-track the riding was demanding with long sustained grinds up and over mountain passes. You an expect at least one major pass a day along the route. We got our timing a little off and were hitting these passes at the end of the day as opposed to the beginning. This of course meant that we had to go all in to be sure we cleared the pass and got down the other side to lower elevations for warmer camps. There was plenty of blues sky out there on this route and I was surprised at just how isolated much of the route felt. 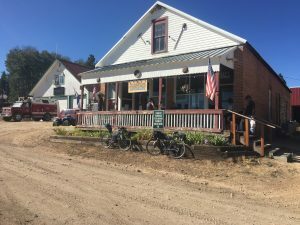 We did roll through a few larger towns like Featherville, Ketchum and Stanley, but much of the route cruised through seemingly forgotten mining villages connected to the outside world by gravel roads and satellite internet. There were plenty of hot-springs along the way to soak weary legs. Surprisingly enough, we were usually the only ones in the pools. Probable for the best really, not sure we would have mixed well with pleasant company. Whatever the case, we certainly enjoyed ourselves. Russian John hot-spring was literally right there off the side of the trail. We stopped in a soaked it up before we hit the Galena pass. My REEB Dikyelous 29 inch hardtail prived to be the perfect bike for this ride. Some folks were on gravel bikes but as I prefer flat bars to drop bars on rough gravel and trail my trusty mountain bike was the perfect tool. 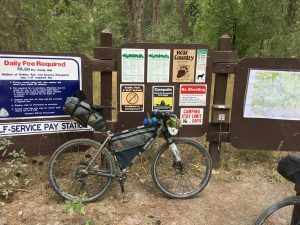 I swapped out my 150mm MRP fork for a suspension corrected 29″ rigid fork. I dropped the 2.5″ tires although in hind sight maybe id have kept ’em as there were definitely some chunky gravel and trail sections. I instead ran 2.05″ Kenda Honey Badger tires. They felt big enough for the chunky stuff and still narrow enough to not be a killer on the few paved sections. AS for gear, REEB has teamed up with RockGeist out of Asheville, NC who makes beautiful custom bike-packing gear. Greg sewed up a custom frame bag for my Dikyelous and sent me out a Bar Jam handlebar harness as well. Those two pieces of kit Along with a seat bag was plenty of space to haul my gear. I used a Nemo Equipment Hornet 2 tent, Trango quilt and Tensor sleeping pad. All of which made sleeping light and pretty comfy. The quilt was a little cold on the really cold nights (we did have frost a couple nights). 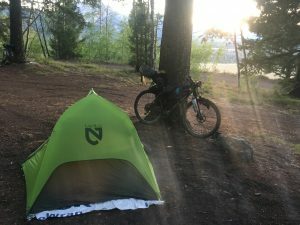 Bikepacking is a great way to get out and see the world. 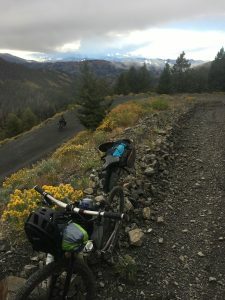 For those of you who seem to hike from teh view point of a fake set of handle bars, picking your ine down the trail, such as I, then bikepacking is definitely the way to go. You get to see such a larger cross section of a place in a much shorter timeline. 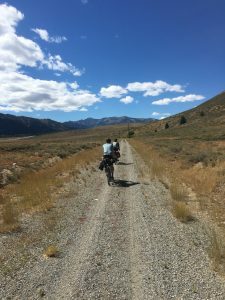 And, unless the areas you are looking to travel don’t allow bikes, there really aren’t too many trails you can’t get a bike on.